ACIAC Adjunct Professor Carrillo Gantner studied at University of Melbourne, Stanford University, and Harvard University and later became a professional actor. He was the Cultural Counsellor at the Australian Embassy in Beijing from 1985 to 1987, and served as Chairman of The Asialink Centre at the University of Melbourne from 1992 to 2005. He served as a founding Advisory Board member for The Centre of China in the World at ANU from 2011 to 2013. 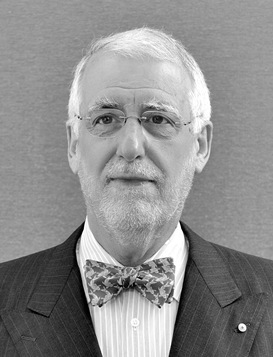 He was the President of The Myer Foundation from 2005 to 2009 and has been the Chairman of Sidney Myer Fund since 2004. He is the godfather of the new Asia Pacific Triennial of Performing Arts (‘Asia TOPA’) in Melbourne. In 2006, the University of New South Wales awarded Professor Gantner an Honorary Doctorate of Letters for services to the arts and the community. In 2008, he was elected an Honorary Fellow of The Australian Academy of the Humanities. In 2014, the Ministry of Culture of the People’s Republic of China awarded Professor Gantner their highest honour for foreigners: “The Cultural Exchange Contribution Award” for his outstanding contributions to China’s cultural exchanges with the world. This Award was presented by a Vice Premier of China in a ceremony at the Great Hall of the People in Beijing. Carrillo has written for various journals and other publications, always working to enhance Australia’s reputation as a constructive partner in the Asia Pacific. Professor Jocelyn Chey AM obtained her PhD in the history of Chinese philosophy from the University of Sydney. For more than 20 years she was a senior official in the Australian Department of Foreign Affairs and Trade, where she was instrumental in helping to lay the foundations for trade and cultural relations between China and Australia. Her many diplomatic appointments include as Cultural Counsellor in the Australia Embassy in Beijing (1975–1978); Senior Trade Commissioner in the Australian Embassy in Beijing (1985–1988) and Consul-General for Australia in Hong Kong (1992–1995). Since retirement from the public service, she has been a Visiting Professor at the University of Sydney and was the foundation Director of ACIAC (2016-2017). Her research interests include Australia-China relations, cultural diplomacy, international relations and humour studies. She was awarded the Australia-China Council Medal for contributions to the development of relations between Australia and China in November 2008, was made a Member of the Order of Australia (AM) in January 2009, and a Fellow of the Australian Institute of International Affairs (FAIIA) in November 2009.